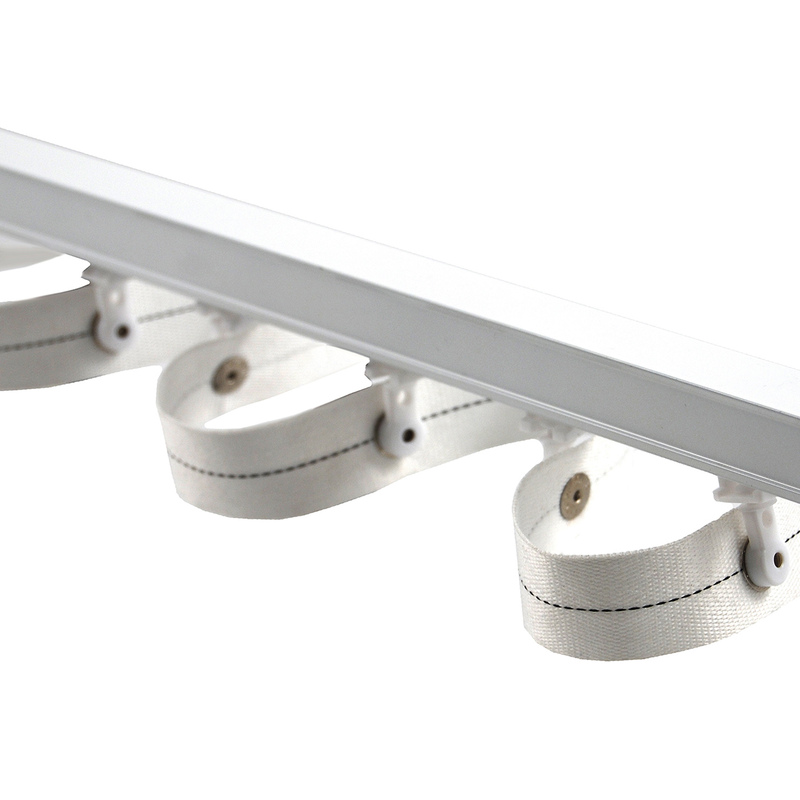 A heavy-duty curtain track system built for hotel rooms, meeting venues, hospitality, healthcare, homes and beyond. CS tracks are ¾” square and can be left visible or hidden behind a soffit. They are ceiling or wall mountable and extremely easy to install. CS tracks operate pleated or ripplefold draperies in one-way or center draw directions. Drapes can be drawn with your choice of baton or drawcord. Ultra smooth traverse action stems from our quality ball-bearing glides and ripplefold carriers - both bypass brackets for an effortless draw. Enjoy continuous pole lengths up to 16 feet for a long span of windows. If needed, allows us to custom bend your CS tracks. Choose from Bow, Compound Bow, Bay, Compound Bay and 90⁰ Bay configurations.